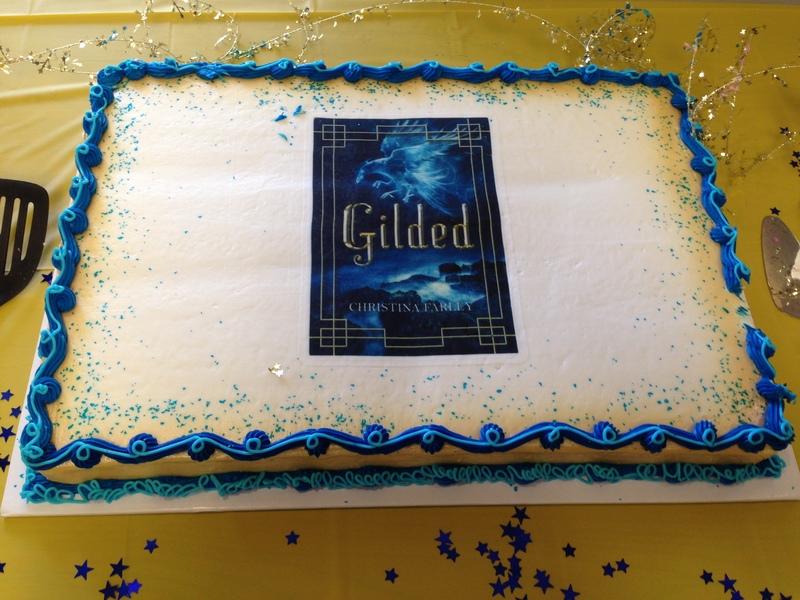 Yesterday we had GILDED’s launch party and it was even better than I could possibly hope for. 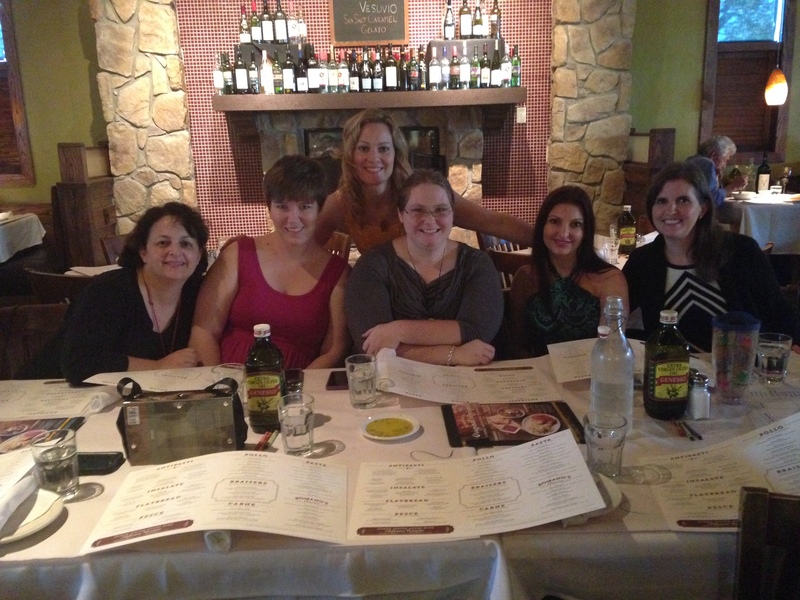 So many friends, co-workers, and students attended to show their support of the book. I was in awe. 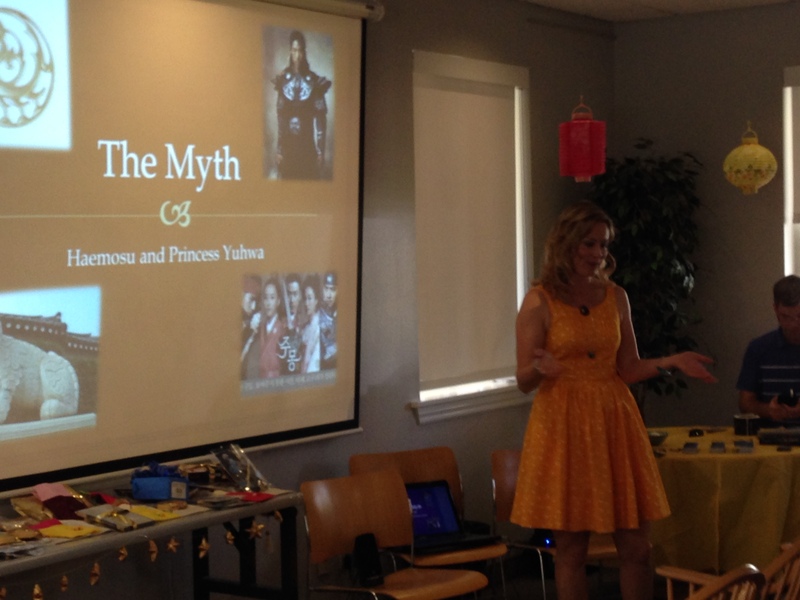 The launch party was a celebration of everything that it took to get published as well as a way to share my excitement with the people I care about. 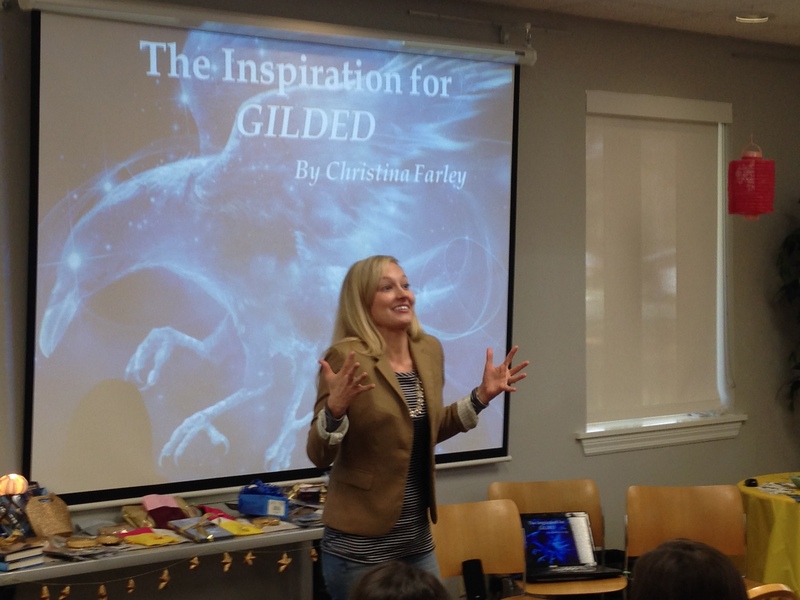 A big thank you to the Windermere Library for allowing me to have the launch there. They even invited me back for my next launch in September! 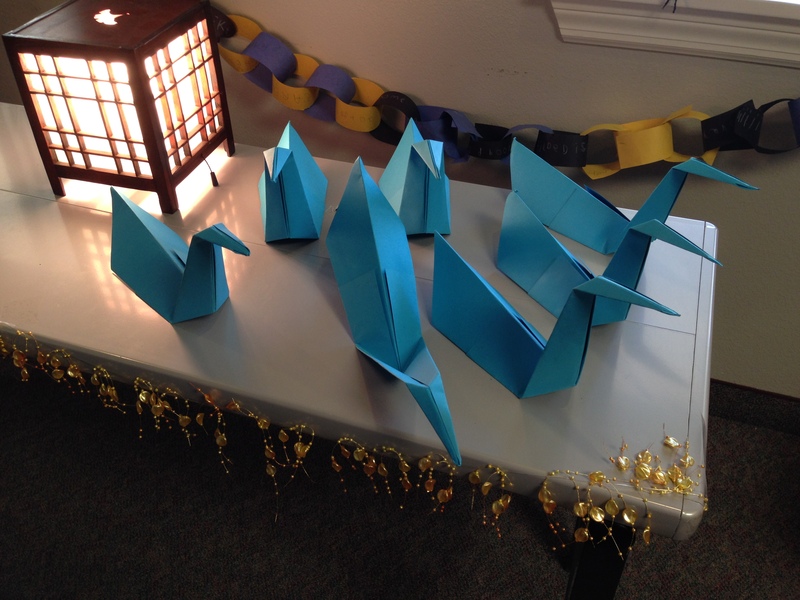 My family helped me set up and decorate the library with Korean decorations. My sister introduced the event. 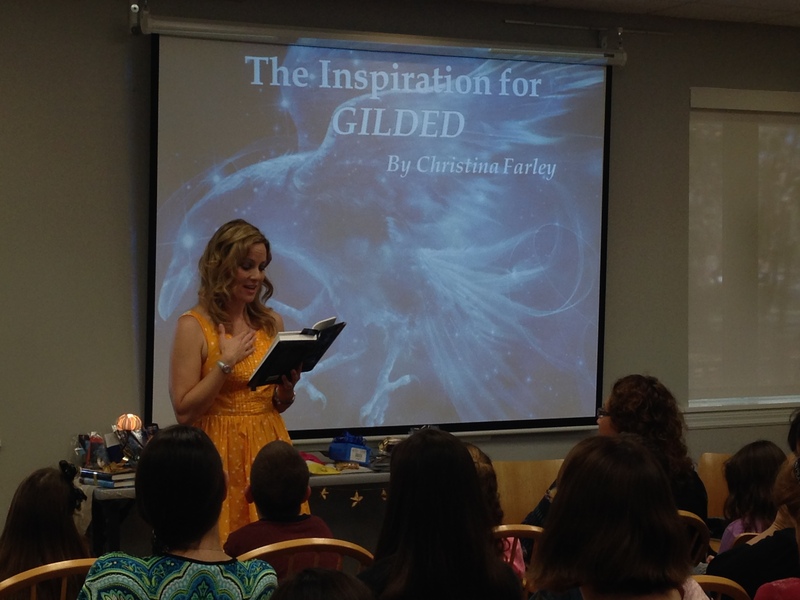 I did a short presentation on the history of writing GILDED. And read a portion of the book. 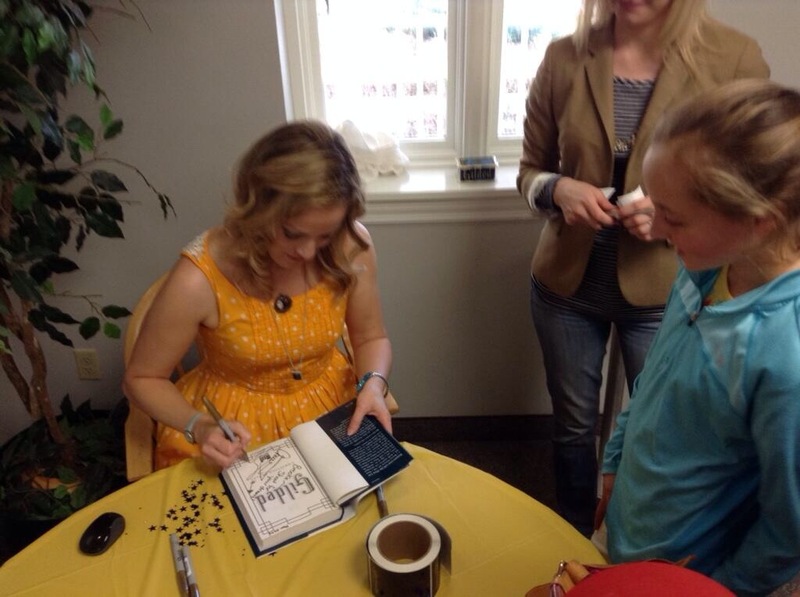 I went through 3 gold pens signing everyone’s books. 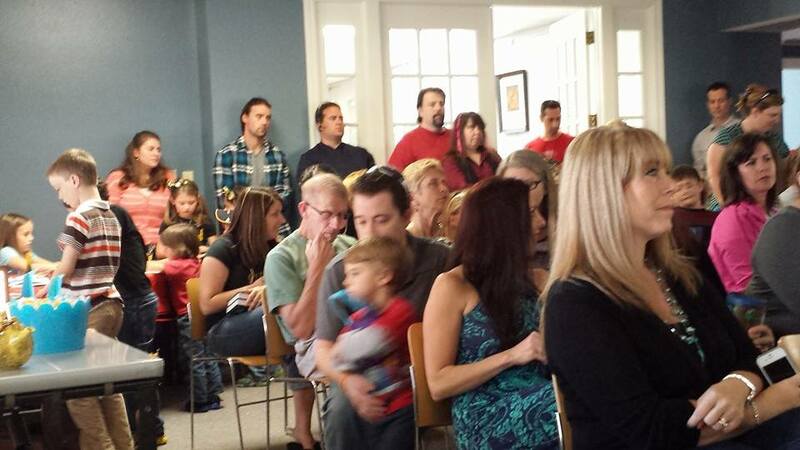 We had a huge crowd of about 120 people show up. Including my awesome teammates from Keene’s Crossing Elementary! 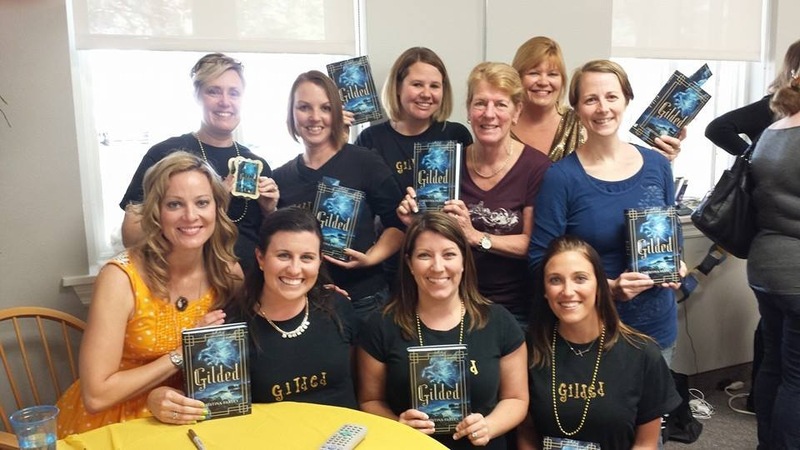 Don’t they look awesome wearing their GILDED shirts! 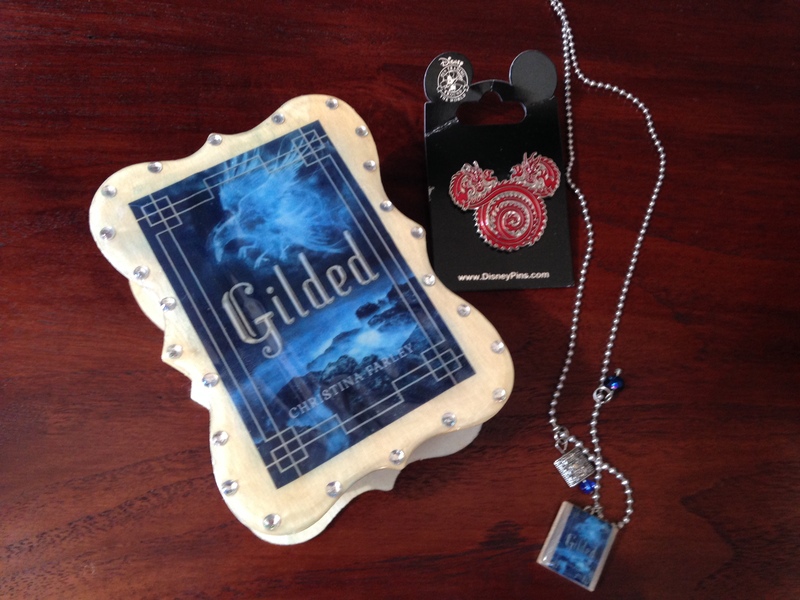 Check out this beautiful gift from Larissa Hardesty. And this one from Tara Gallina. Afterwards a bunch of us went out to dinner. The whole event couldn’t have gone better. 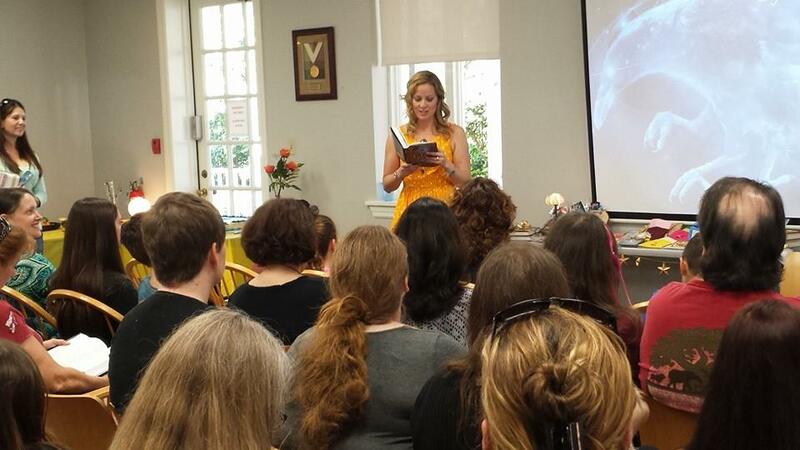 I felt so blessed and grateful to everyone who showed up. Thank you all for your support and for making this day special for me! 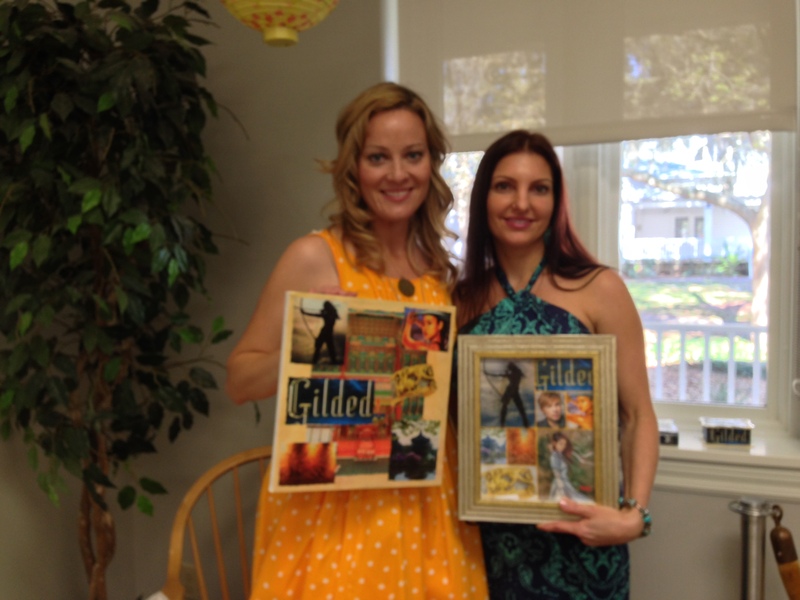 6 Responses to Gilded’s Launch Party Recap! That looks like an amazing launch! 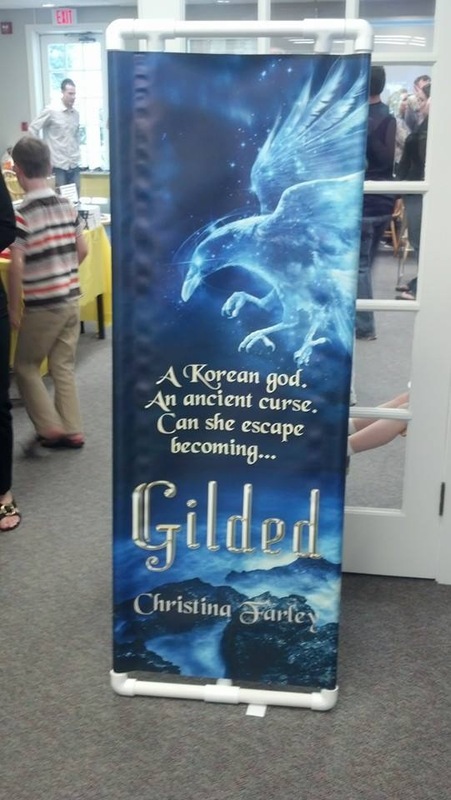 Congrats, Christy!!! You look gorgeous in your vibrant dress, too! Yay! It looks like such an awesome event. And it’s even more special that your family could be there with you. Congratulations! Wish I could have been there to share the joy! 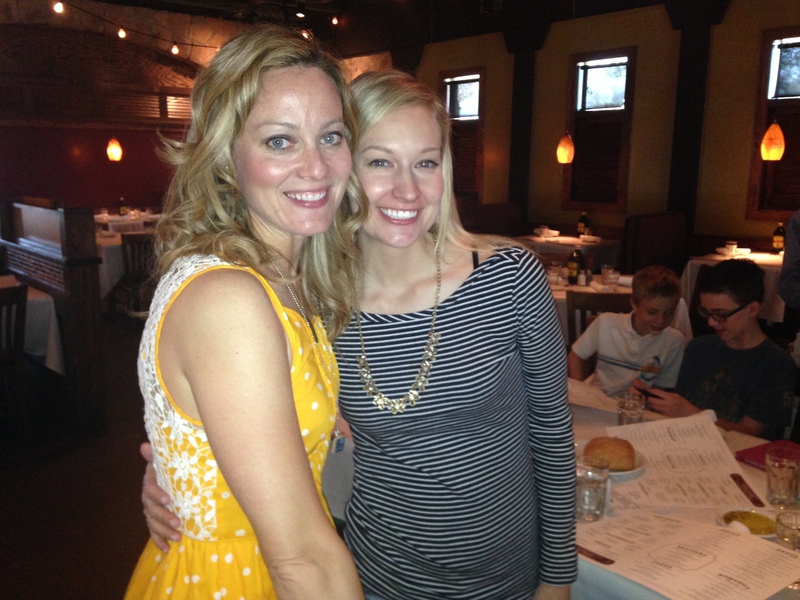 You are just one amazing lady! Looks like an amazing launch! Love your cake–and your beautiful dress! Congrats!